Our goal is to design and build the best hand assembled analog effects available. 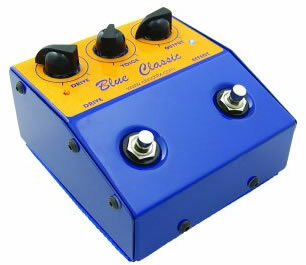 Our first product was a guitar effect, the Blue Classic boost / overdrive pedal. Our EP series of pedals has been incredibly successful. Although we designed a very quiet charge pump power supply for our EP-PRE, I chose to stick with the original 1970s schematic for the preamp itself, because any change to the original circuit takes something away from the rich and spacious tone of the original circuit. 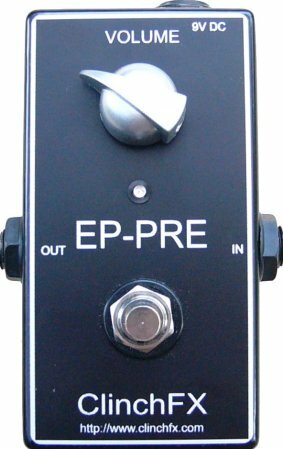 Even in our EP+, the first stage is identical to the EP-PRE, and the second stage is pure transparent boost that doesn’t compromise “that” tone. The EP-PRE, EP+ EP+ Custom and Pico-PRE will remain in our lineup. It’s now time for us to return to our original designs. The first of these is the Burnish Boost, and we have more designs on the way. We have plans to install a shopping cart here on our website. Until then, if you wish to enquire about buying a pedal, please go to our Contact Us page and send us a message. ClinchFX has a dealer in Belgium. Gosia Guitars is stocking ClinchFX EP-PRE, EP+, EP+ Custom and is the first in the world to stock our Burnish Boost. We suggest that customers in Europe contact Gosia Guitars for ClinchFX pedals. Some folks are not receiving our emails. Fortunately, in some cases, I know the forum name and can contact via PM. If you make an enquiry and do not receive a reply within a week, please check your junk mail folder, or contact us and give us an alternate contact, such as a forum name or phone number. We do not run spam filters and we do attempt to answer all enquiries. Alternatively, you can PM me (clinchfx) at TGP, MetroAmp or HRI. ClinchFX design methods include using modern electronic construction techniques with classic circuit topology to give new retro-style sounds. Pedals are shipped in a custom shipping carton, and operating instructions are packed with each pedal. Operating instructions are also available online at our User Manuals page. We ship with Australia Post Air Mail. Insurance is included in shipping cost. Our experience so far with Australia Post has been very good.